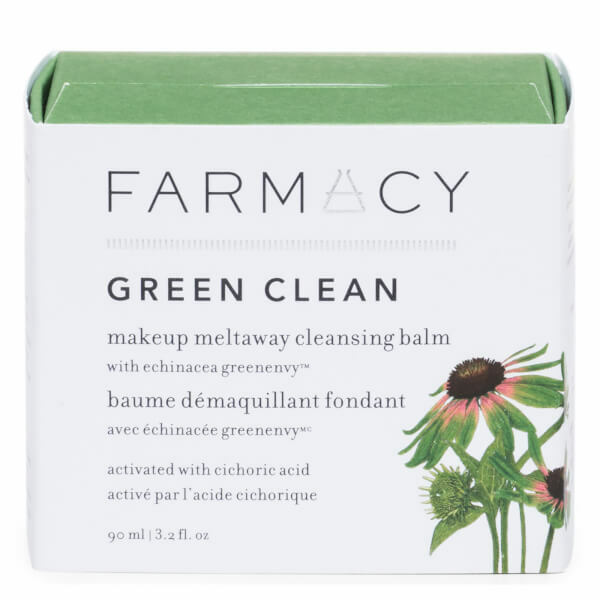 Refresh your complexion with the Green Clean Make Up Meltaway Cleansing Balm from FARMACY, a New York-based brand that combines innovative science with clean, locally grown ingredients to deliver farm-to-face skincare with effective results. Utilising Papaya Extract, the balm-to-oil formula creates a luxurious lather upon contact with water to gently exfoliate and refine skin, without stripping or drying. 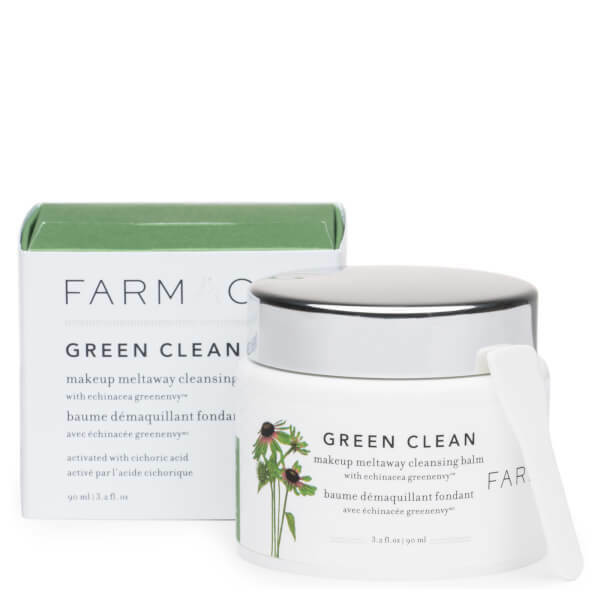 Sunflower and Ginger Root Oils effectively dissolve stubborn makeup and impurities, whilst a revitalising blend of Lime, Bergamot and Orange Essential Oils leave skin feeling clean and fresh. Echinacea GreenEnvy™ (the brand's patented and exclusive plant) promotes a smooth, even tone and texture. Scoop a generous amount with the included spatula, and apply to dry skin. Use your fingertips to massage into skin with gentle upward and outward circular motions, focusing on areas that need attention (like eye makeup). 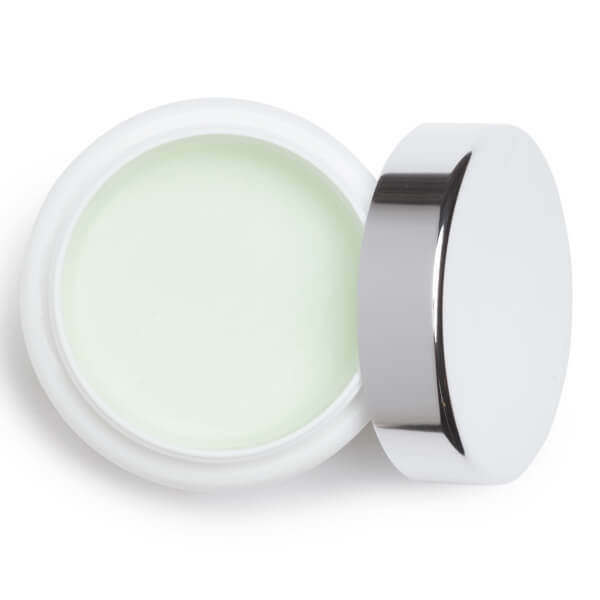 The solid balm melts into an oil on contact with skin, then a milky lather when water is applied. Splash with water or wipe off with a warm, damp washcloth. Cetyl Ethylhexanoate, Caprylic/Capric Triglyceride, Peg-20 Glyceryl Triisostearate, Peg-10 Isostearate, Polyethylene, Phenoxyethanol, Sorbitan Sesquioleate, Citrus Aurantifolia (Lime) Oil, Citrus Aurantium Bergamia (Bergamot) Fruit Oil, Melia Azadirachta Leaf Extract, Melia Azadirachta Flower Extract, Amino Esters-1, Citrus Aurantium Dulcis (Orange) Peel Oil, Amber Powder, Cananga Odorata Flower Oil, Coccinia Indica Fruit Extract, Solanum Melongena (Eggplant) Fruit Extract, Curcuma Longa (Turmeric) Root Extract, Ocimum Sanctum Leaf Extract, Corallina Officinalis Extract, Moringa Oleifera Seed Oil, Zingiber Officinale (Ginger) Root Oil, Helianthus Annuus (Sunflower) Seed Oil, Water/ Aqua/ Eau, Glycerin, Butylene Glycol, Echinacea Purpurea Root Extract, Carica Papaya (Papaya) Fruit Extract, Moringa Pterygosperma Seed Extract, Disodium Phosphate, Citric Acid.